Before you hit the seasonal fur sales in search of a new fur coat in Chicago , you should decide which coat length is the most flattering for you. Fur coats are typically available in cropped, mid-length, thigh, and full-length sizes. In general, the length of the fur coat that you choose will depend upon your height and weight. 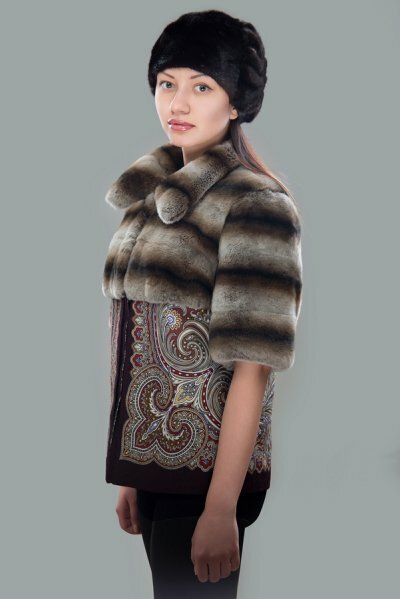 You should always try on any luxury fur coat before purchasing it to ensure that it is the best size and shape for you. Longer fur coats tend to be more flattering on taller people, or people with long legs. Cropped and mid-length fur coats are flattering for any height. Thigh-length and full-length fur coats are flattering for any body type. If you live in a particularly cold climate, you should get the longest fur coat possible in order to stay warm during the winter. If you can’t find a fur coat that is the perfect length, you can always visit a fur salon where a professional furrier can alter your fur garment. Choose a full service store that specializes in fur coat alterations, fur coat restyling, and fur remodeling. Most people who own furs know that there is added care involved to keep furs looking their best. Chicago fur care is particularly important in the winter months that bring freezing rain and snow. Keeping fur dry is important to keeping your fur in excellent condition. If your fur has been exposed to snow, it is important to know what to do to ensure no damage has been done. In instances of light snow, hanging up your fur—on a wooden hanger, not wire—is usually all that needs to be done to dry off the fur. If your fur is exposed to heavy snow, it is important to get rid of any excess moisture. It is important to always let your fur coat air dry and never expose it to heat. In some cases, your fur coat may need professional fur cleaning after being exposed to a heavy snow. This will help protect the skin from water damage. When you’re looking for a way to stay warm during harsh Chicago winters without sacrificing your unique personal style, consider adding fur to your wardrobe. Fur is soft, warm, and stylish, and can be worn for a variety of different occasions in many settings. You can sport your beaver fur coat to the office and feel comfortable going out to dinner at an upscale restaurant when work is over for the day. A mink accessory will make you feel glamorous no matter where you’re going, whether it’s to the theater or to a charity gala. There are many different types of fur you can choose from, ranging from classic fox to ultra-soft chinchilla. Take a look at this infographic from Andriana Furs, the experts in fur coats in Chicago , to learn more about a few of the most popular fur choices and the styles you can try to show off your sartorial sense. Please share with all of your fashionable friends and family!